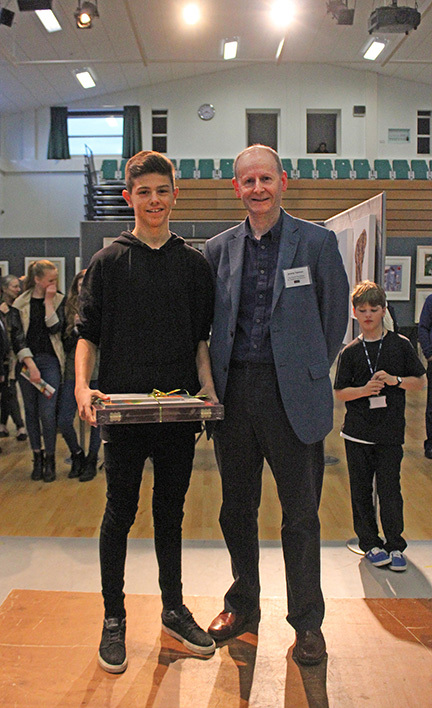 Swavesey Village College hosted this major open art exhibition which showcased an impressive array of artworks and offered local students valuable insight into careers in the creative world. It also saw the launch of an important new youth art initiative, and even challenged the current approach to creativity in education. 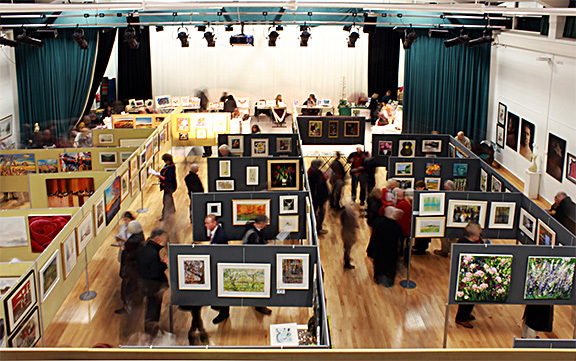 Over 100 Cambridgeshire artists exhibited their paintings and sculptures at the Rheebridge Open Art Exhibition at Swavesey Village College from Friday 21st to Sunday 23rd November. 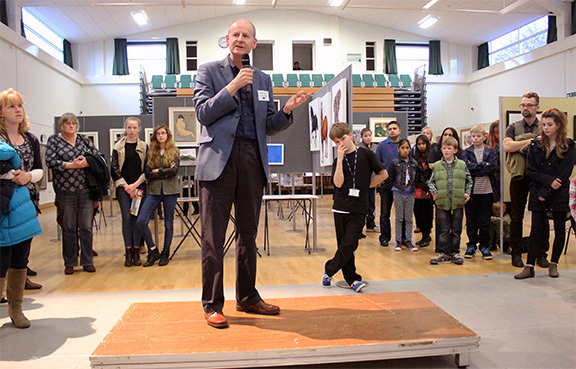 Principal of the College, Andrew Daly, opened the event by saying: “On entering the exhibit space I felt the same shiver down my spine as I experienced on seeing the poppies at the Tower of London. 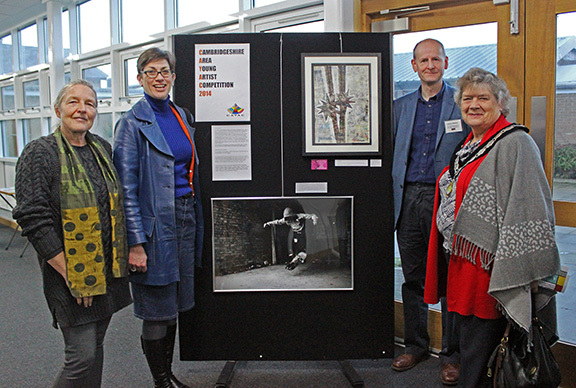 I am immensely proud that our school is the venue for this important creative event and that our students have been involved in so many aspects of its development. 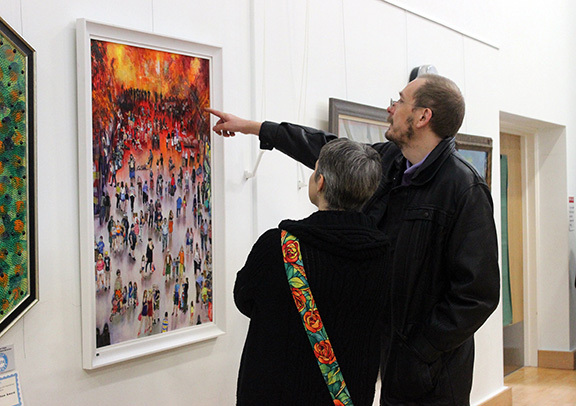 It is a great introduction to those who are interested in pursuing a career in visual arts or journalism”. 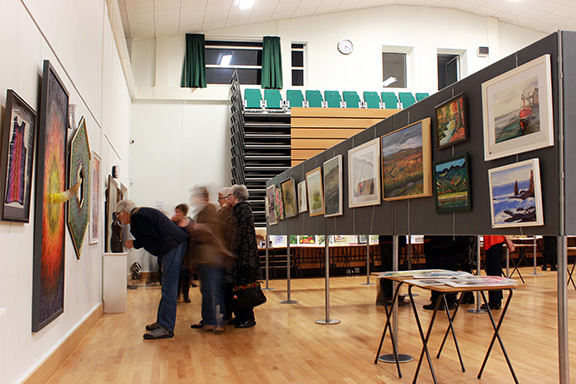 The exhibition gave students the opportunity to help with hanging and positioning the exhibits, act as roving reporters and photographers throughout the weekend and welcome the visitors. 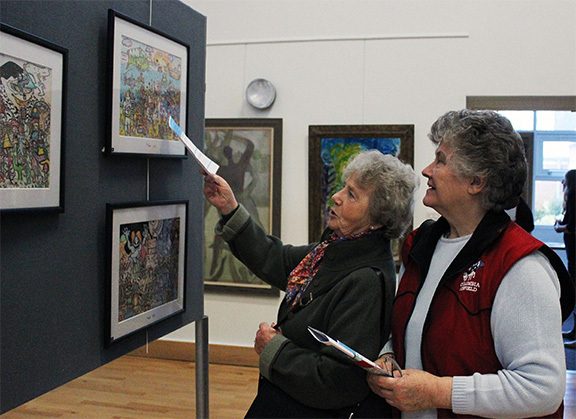 They also assisted while the judging of the all-important Top Twenty took place, whereby 20 pieces from over 300 traditional and abstract works on display were selected to feature in an exhibition at Williams Art in Gwydir Street, Cambridge followed by a year-long exhibition on-line. 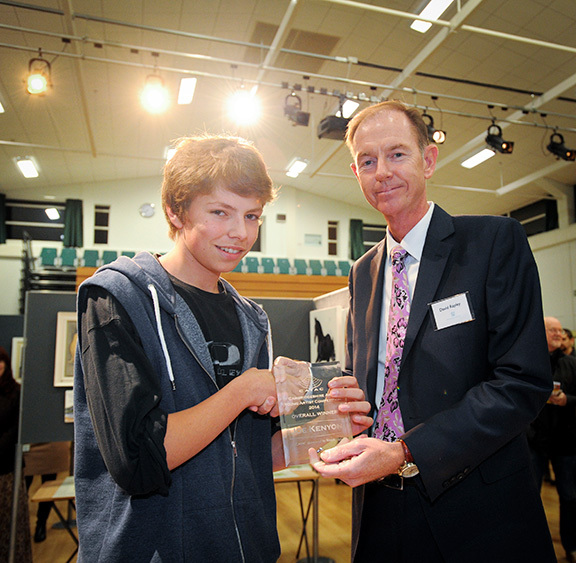 Cottenham artist Steve Ferris was awarded the ‘Best in Show’ prize of £500, with five runners-up winning £100 each. 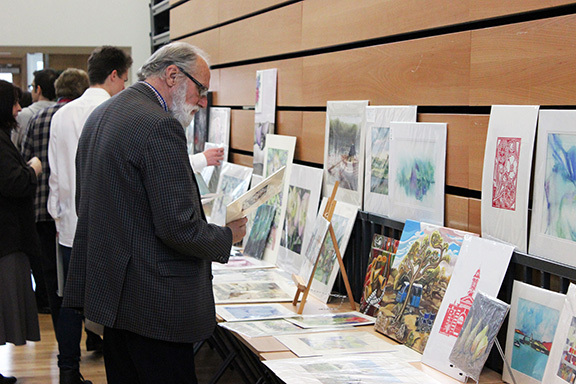 The prizes were sponsored for the third consecutive year by Rheebridge, the Cambridge-based property development, social enterprise and angel investment company founded by David Rapley. 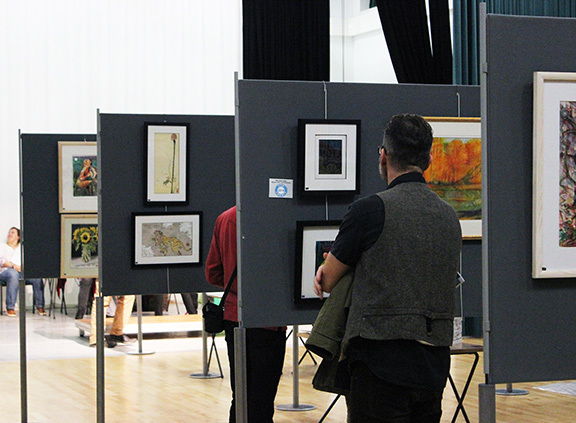 There was also a People’s Choice Award for the artist visitors considered the best; and a free draw whereby visitors to the exhibition had the chance of winning the picture (under £150) they liked best. 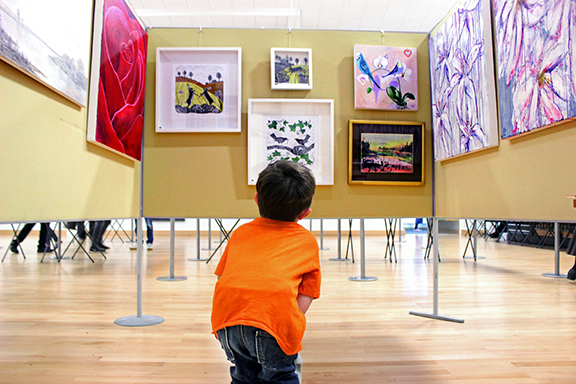 Below: “Pictures at an Exhibition”. 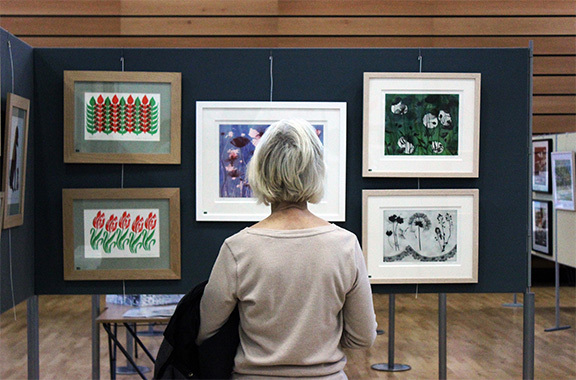 Sophie Higgins’ superb photos (Sophie is a student at Swavesey Village College PMA Year 11). Thank you Sophie!